Having been born into a pious family, the future Elder Joseph grew up in the fear of God. John Efimovich Litovkin enjoyed reading and being by himself. In his youth, he had a vision of the Queen of Heaven, and he began to withdraw for more prayer and privacy. He grew to have a gentle and sensitive soul and felt the grief of others. Both of his parents died early, and the young John was left to work odd jobs to make ends meet. His sister had become a nun and wrote to him of Optina at which time he decided to go. When he arrived in Optina in 1861, he met Elder Ambrose, talked with him and decided that he never wanted to go anywhere else, and so it happened. Shortly after that he became Elder Ambrose’s cell attendant and did not leave his side until the elder’s death thirty years later. For years, Fr. Joseph did not even have a cell of his own. Instead, he waited until all the pilgrims left who were visiting Elder Ambrose and then slept in the waiting room only to have to rise for Matins at 1:00 a.m.
After three years he was tonsured a novice, with the name John, and after ten years he was tonsured a monk with the name Joseph after St. Joseph the Hymnographer. When the Shamordino Convent was consecrated in 1884, Fr. Joseph was ordained a priest. He was very quiet and serious. When speaking with pilgrims, he spoke few but profound words of instruction and comfort. He was of exemplary obedience and humility. It is said of him that his humility was tangibly apparent and readily transmitted; his very presence brought to the Elder’s always-crowded reception room a perceptible tranquility. Elder Ambrose said of him, “Father Joseph will surpass me,” just as he also used to tell his spiritual children, “I give you to drink wine diluted with water, but Fr. Joseph will give you unmingled wine.” As for Fr. Joseph, he never ascribed to himself any gifts or spiritual achievements: “What do I know,” he would say, “without Batiushka? Zero, and nothing more.” When pilgrims had messages they wanted him to relay to the Elder he would bring back a response without adding anything of his own. Soon, Elder Ambrose would send people to him for counsel. Many were amazed at how he would give the same advice as Elder Ambrose. After Elder Ambrose’s repose, his disciples felt comfortable to go to Elder Joseph. In 1888, Fr. Joseph became very sick, near the point of dying but recovered through the prayers of Elder Ambrose and a vision of the Mother of God in which she said to him: “Endure, my beloved one, little time is left.” At this time he was tonsured with the great schema. In 1890, Elder Ambrose was preparing to go to Shamordino, Elder Joseph, who regularly accompanied him for several weeks every summer, began likewise to prepare but this time the Elder told him, “You need to stay here, you’re needed here.” While at Shamordino, Elder Ambrose became very sick. The nuns called for Elder Joseph who then communed Elder Ambrose for the last time before he died. Elder Joseph was left to become the confessor of the Skete, of the monastery, and of the nuns at the Shamordino Convent. In April 1911, Elder Joseph became ill with malaria. He was lucid and conscious to the very end inviting the Shamordino nuns and the Optina monks for one last visit to say farewell and offer one last piece of counsel to any question and to ask everyone’s forgiveness. He became weaker and weaker until his repose on May 9. Without patience, even a temporary home is not built, let alone the eternal one … But we keep looking for the easy way. What is easy for the body is not useful for the soul, and what is useful for the soul is difficult for the body – so we should proceed through labor to the Kingdom of Heaven. It is impossible for us, sinful people, to be entirely free of distractions during prayer. Nevertheless, one should strive as much as possible to gather one’s thoughts and lock one’s mind into the words of prayer, into each word. One should not be troubled by coldness and hard-heartedness but persist in forcing oneself towards prayer, recognizing oneself as unworthy of consolation and compunction. If prayer is cold, one mustn’t conclude that it is displeasing to God; sometimes even such prayer is counted as an ascetic feat if only the person humbles himself in everything before God. As a ray of the sun cannot penetrate fog, so the speech of a person who, although educated, has not mastered his passions cannot affect the soul. But he who has vanquished the passions and acquired spiritual understanding finds access to every heart, even without formal education. On April 8, 1805, Pascha night, Rodion Nikitich Ponamarov, the name given to the future Elder Hilarion, was born. Rodion was clumsy in his youth, earning the ridicule of friends. He was treated rudely by his siblings for being introspective. While growing up, he wanted to be a monk and also desired to learn his father’s trade – tailoring – thinking it would be beneficial for a monastery. He was engaged to be married twice. His first wife-to-be died, and he lost interest with the second. In 1837, fulfilling his desire to become a monk, he went on a pilgrimage to the most significant monasteries in the area and finally settled at Optina. When Elder Anthony was transferred to St. Nicholas Monastery in Maloyaroslavets, Elder Macarius then became the Skete Superior, and Rodion became his cell attendant and became obedient to him in the fullest sense. Rodion, now Fr. Hilarion, confessed to Elder Macarius but also went daily to Elder Leonid. For his first twelve years as Elder Macarius’ cell attendant, he was also the vegetable and flower gardener, the baker, the kvass brewer, the care-taker of the bees amongst many other responsibilities. This external activity was seen by all but his inner life was hidden in God. Elder Macarius recognized Fr. Hilarion’s maturity and progress and soon began to give him some of his spiritual children as well as responsibilities at other convents. In this way, Elder Macarius was preparing Fr. Hilarion to be his successor. When Elder Macarius was on his deathbed, he blessed Fr. Hilarion with the mantle and paraman which he had inherited and which had once belonged to St. Paisius Velichkovsky. Being the closest to Elder Macarius, at his repose, after twenty years of being his cell attendant, Elder Hilarion became the Skete Superior and the confessor of the monastery. Elder Hilarion confessed all the brothers in the monastery and also those who lived on the farms in the areas, both men and women. He would confess all day long, and even during Lent when he would also have to be at the lengthy church services and also having to complete other labors. Despite the number of people who came to him, he refused no one. When giving advice, the Elder did not speak from himself but gave counsel from the Scriptures, from the Holy Fathers or from what he had heard his Elder say. He was always approachable and received all his visitors with the same attention and courtesy whatever their rank in society. He would require anyone coming to the monastery who would want confession, to take three days to examine their conscience before coming to confess. Two years before his death, Elder Hilarion suffered from a serious illness. During this time he never asked to be relieved of it, but only to be given patience during such a trial. The Elder did receive doctors but only due to the insistence and zeal of his spiritual children. For the last four weeks, he suffered day and night with no sleep and found it impossible to move around on his couch due to fluid rising in his lungs. For the last thirty-three days of his life, he received the Holy Mysteries daily. Until his final moments, he always completed the full cell rule assigned to the skete. When his death was impending, Elder Macarius appeared to him several times in his dreams. The more he suffered and the closer he came to death the more the Elder appeared. On September 18, 1873, he received communion at 1:00 a.m. At 6:00 a.m. he straightened himself out on the couch, took a few slow breaths, and looking neither right nor left, committed his soul to God, his prayer rope tightly in his hand. If you feel that you cannot control your anger, remain silent, and for the time being say nothing, until, through continuous prayer and self-reproach, your heart has become calm. In case of a fall of some kind in deed, word, or thought, you should immediately repent and, acknowledging your infirmity, humble yourself and force yourself to see your sins, but not your corrections. From examining his sins, a person comes to humility and acquires a heart that is broken and humble, which God does not despise. O Father Hilarion, having fled the world, and abandoned all things in it and having counted them but dung, thou didst cleave to the elders, Leonid and Macarius, and thou didst receive of Christ power to drive away demons. Author Unknown, “The Life of Hieroschemamonk Hilarion of Optina” in Orthodox Life (January-February, 1990): 2-8. Kavelin, Fr. Leonid, Elder Macarius of Optina (Platina: St. Herman of Alaska Brotherhood, 1995). Makarios, Hieromonk of Simonos Petra, The Synaxarion: The Lives of the Saints of the Orthodox Church, trans. Christopher Hookway, vol. 1 (Chalkidike: Holy Convent of the Annunciation of Our Lady Ormylia, 1998). Optina’s Elders: “Instructor of Monks and Conversers with Angels” at http://www.roca.org/OA/97/97k.htm accessed on Dec. 17, 2013. Schaefer, Archimandrite George (trans.) Living Without Hypocrisy: Spiritual Counsels of the Holy Elders of Optina (Jordanville: Printshop of St. Job of Pochaev, 2009). “SERVICE To the Holy Fathers, the Elders Who Laboured Ascetically In Optina Hermitage” in Orthodox Life (May-June, 1990): 27-48. He became Elder Macarius’ cell attendant. Under him, Alexander was educated through his cell prayers, daily reading of the Scriptures, Lives of the Saints and the works of the Fathers. He found in Elder Macarius, an experienced interpreter for every unclear word and expression. Later, he would be helping the Elder in publishing translations. In 1843 he was tonsured a monk and given the name Ambrose after St. Ambrose of Milan. Two months later he was ordained a hierodeacon and two years later a hieromonk. In 1846, Fr. Ambrose became so sick that it was thought that he was going to die. At this time he was given Unction and Communion of the Holy Mysteries of Christ and tonsured into the schema while retaining the name Ambrose. This grave illness lasted for more than a year. At this time he was thirty-six years old. He was so sick that he was incapable of any monastery obedience and therefore excluded from the register of the brothers of Optina, leaving him to be fed and cared for by the monastery. He lay in bed for two years and wasn’t able to go outside until 1848. After this illness, he did not fully recover even up to his death in 1891. Elder Macarius also started to send monks and lay people to him, and soon, the nuns from the Borisov Convent. Elder Macarius, in preparing Fr. Ambrose to succeed him, said, “You will live in the cell on that side of the gate, and see to it – this is my commandment to you – do not let anyone who comes here leave without consolation.” In time, more and more people came to Elder Ambrose as the other Elders reposed, all four of them! Soon, monastics and laypeople came from all over Russia to seek counsel from him. At times, he was so sick that he offered direction while lying in bed. 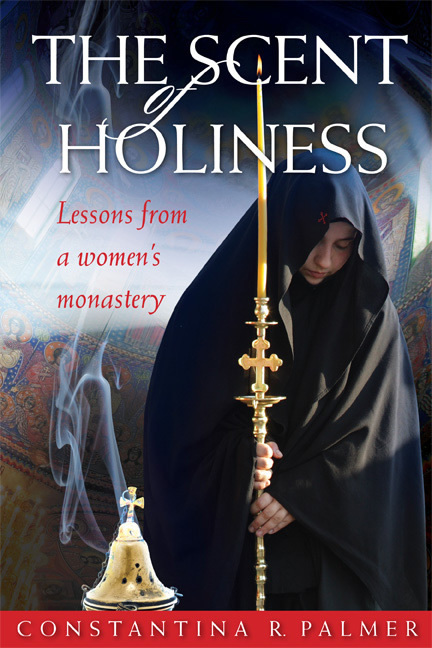 Due to the reforms of Catherine II, women could not become monastics without a dowry. Therefore many women were unable to do so. In 1891, Elder Ambrose founded Shamordino Convent, nine miles from Optina to remedy this situation. He filled it with poor and destitute women – widows, orphans, the blind, lame and sick – which numbered almost a thousand before his repose. Also, the Elder built a psychiatric hospital, a school, a hospital and a hospice for aged women so that Shamordino indeed became a city of Christian love where crowds of impoverished and unfortunate people dwelt. The needs of the Convent obliged the elder to be there often and even to live there as he continued to become sicker. Not approving of the amount of time that Elder Ambrose was spending at Shamordino, the Bishop of Kaluga sent him a letter saying that he was going to come to Shamordino to force him back to Optina. The Bishop arrived but only in time to serve his funeral. Elder Ambrose was buried beside the grave of Elder Macarius. The desire to labor for the good of mankind is very honorable if it is placed in the right perspective. The prophet-king David says that we should depart from evil and then do good (Ps. 33). Contemporary man does just the opposite. In theory, everybody wants to work for the good of their neighbor; however, they give very little concern for the fact that they should first cleanse themselves from evil and then care for their neighbor. The vast majority of the younger generation is very concerned that there should be great activity for the improvement of humanity. Unfortunately, this resembles someone who, although he never finished high school, allows himself to dream of becoming a professor and great instructor in a university. On the other hand, it is another extreme to conclude that striving for the betterment of man is pointless since it is impossible to push humanity forward. Every Christian is obliged to labor for the good of his neighbor according to his strength and social position. At the same time, this should be done properly and at the right time, as we mentioned above, so that our labors will be successful in God’s eyes and according to His will. “Concerning Progress” in Orthodox Life (November-December, 1992): 38-41. Dunlop, John B. Staretz Amvrosy (London: Mowbrays, 1972). Kontzevitch, I.M. “Optina Monastery and Its Era: Its Significance in the Spiritual and Cultural Life of Russia” in The Orthodox Word (July-August, 1984): 156-162. Elder Macarius, born Michael Nikolaevich Ivanov in Orlov province near Kaluga, was raised in a noble family. He spent his youth reading many books and developed a wide breadth of theological understanding. He enjoyed nature, loved music, and played the violin well. He was not favored with good looks and never tried to marry. He was of medium height, and his face showed traces of smallpox. In 1810, at the age of twenty-two, he went on a pilgrimage to the Ploshchansk Hermitage and at this time decided to dedicate his life to God. Here Michael came under the obedience of Fr. Athanassy, a disciple of St. Paisius Velichkovsky. In 1815, he was tonsured a monk and given the name Macarius after St. Macarius the Great. In 1824, his elder died, and he was sent to be the confessor of the Svensk women’s monastery. It was here at Svensk that Fr. Macarius met Elder Leonid. He asked Elder Leonid if he could become his disciple and although Elder Leonid considered Fr. Macarius his peer in monasticism, in humility, he yielded to his request. Shortly after that, Elder Leonid was sent to the Optina Skete and Fr. Macarius corresponded with him until he also moved there to share the work of eldership in 1834. When Elder Macarius arrived at Optina, Elder Leonid was living in the skete along with Elder Moses and Elder Anthony. In 1836, he was made confessor of the whole monastery and then Skete Superior. Elder Macarius kept himself in constant obedience to Elder Leonid never doing anything without a blessing and endured all things with humility and patience. Elder Leonid offered him many opportunities to do so. Elder Macarius was always to be found with Elder Leonid. They directed the spiritual life of the monks as well as thousands of visitors. Together they “brought up” Elder Ambrose. They were of such oneness of mind that when Fr. Macarius was asked for counsel regarding anything he would not reply without first consulting Elder Leonid and vice versa. In 1841, Elder Leonid reposed; Elder Macarius wrote his obituary. That year he took over the responsibilities of the skete. As rector, he enhanced the solemnity of the services and also created a rich library. He would rise at 2 a.m. for four hours of prayers then afterward would sit at his work table to translate or revise Patristic texts. At this time he would also engage in correspondence. In the afternoon at 2 p.m. he would accept visitors, meeting them in the guest house at the entrance of the skete, and after supper and evening prayers, he would continue with his written correspondence. People were anointed from the lampada that burned in his cell in front of the Vladimir icon, in his cell and through this many were healed of sickness and demon possession. The publications at Optina Monastery of a series of Patristic texts on the spiritual life began with Elder Macarius urged by his friend and spiritual son, Ivan Kireyevsky. These publications were launched in 1846 with the life of Elder Paisius Velichkovsky and would grow from there. In most cases, the works were revisions of the Slavonic texts from the Neamts Monastery from the time of St. Paisius and translated into Russian. Through these publications, Optina became known to the intellectual elite of Russia and drew them to itself. Much profit came to the whole church through Optina at this time, but much persecution also came to Elder Macarius. He was accused of spreading the teaching of the Jesus Prayer when others opposed it based on the mistaken belief that it would give rise to spiritual delusion. Talk began of transferring him to another monastery. During this time he became very sick. During his final illness, he often handed out little crosses, icons or books as a blessing. On September 7, 1960, after receiving Holy Communion at 6 a.m. and saying “Glory to Thee, our God!” thrice, he fell asleep in the Lord having been forewarned of this beforehand. His body remained incorrupt. If we strive to cleanse our hearts from the passions, then according to the amount that we have purified ourselves, Divine Grace will open the eyes of our hearts to the vision of the True Light; for as it is written, Blessed are the pure in heart, for they shall see God (Matt. 5:8), but only when we perfect ourselves through humility, for through humility the mysteries are revealed. Man finds peace of mind and benefit for his soul in forests. We see that in former times people used to withdraw into thick forests, and there, away from worldly vanity, through prayer and ascetic labor, sought salvation. Just one look at the evergreen conifers of our homeland gladdens the eyes, portraying a symbol of our hope for eternal life, which people go to the deserts to seek… The forests which surround our monasteries should be preserved from destruction by all means, in order to prevent the word “wilderness” from finally losing its meaning. Kontzevitch, I.M., “Elder Macarius of Optina” in The Orthodox Word (January-February, 1986): 11-22. Sederholm, Fr. Clement, Elder Leonid of Optina (Platina: St. Herman of Alaska Brotherhood, 2002). Southwest of Moscow, in the city of Karachev, was born Leo Danilevich Nagolkin, the future Elder Leonid. Little is known of his early life except for an incident during which he was carting flax to a neighboring city and was attacked by a wolf. He managed to fight off the wolf with his bare hands but was left lame for the rest of his life after the wolf tore a large portion of flesh from his leg. Leo began his monastic life in Optina but then moved to the White Bluff Hermitage where he was tonsured and given the name Leonid. He then went on to stay at the Chelnsky monastery where he met Fr. Theodore of Svir who had learned the monastic life under St. Paisius Velichkovsky. From Fr. Theodore, Fr. Leonid learned the “science of science and art of arts,” the labour of unceasing prayer. These holy men were together for nearly twenty years. After Fr. Theodore’s repose, Fr. Leonid went to the St. Alexander of Svir Monastery and the Ploschansk monastery, where the future Elder Macarius also lived. In 1829, after thirty years of ascetic experience, he came to Optina at the invitation of Bishop Philaret of Kaluga and Abbot Moses. Here, he began the line of the great Elders of Optina. At sixty-one years old he is described as a “tall, majestic man, who had in his youth acquired strength of mythic proportions and had, even in his old age, graceful movements despite his portliness” (which was due to hypothyroidism). He is noted as being full of pity and love for mankind but at other times he would act abruptly. Wherever he was placed, he was flocked with visitors looking for healing or comfort for their ailing souls. From morning to late at night his cell was filled with people looking for spiritual care. His life contains many examples of how this rigorous ascetic would, with gentleness and profound spiritual jokes help people who came to him from outside the monastery. He was clairvoyant and healed people. He had a “different” kind of simplicity and so was able to attract people from all walks of life. The people appreciated his jokes and proverbs which made more sense to them than most academic instructions. During Elder Leonid’s time at Optina, suspicions arose accusing him of holding views that were unorthodox and bordered on heresy. (To place this persecution in perspective, we should recall that during this time the monasteries were just beginning to be repopulated after the general monastic persecutions of Peter I through Catherine II. As a result most knew very little about eldership and the “source material” on this until it was disseminated by St. Paisius and his disciples). Because of this, Elder Leonid was forbidden to receive any further visitors. Soon his spiritual children began to be also persecuted as were the nuns who were under his care. Much grief was caused to the Elder in his God-pleasing work. Despite the persecution, the care of the brethren of the Optina Monastery was given into the hands of Elder Leonid by its Abbot, Fr. Moses. Fr. Moses only took care of the administrative aspect of the monastery and placed the spiritual responsibility totally on the shoulders of Elder Leonid. Due to increased persecutions of the Elder, he was relocated from the Skete to a cell in the main monastery and was frequently moved to different cells. 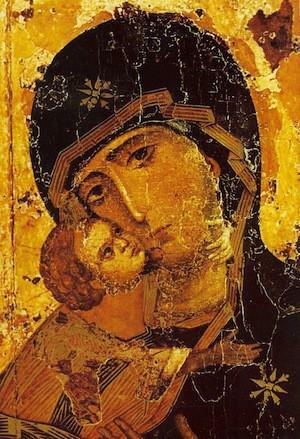 He took all of this in good humor, carrying the icon of the Vladimir Mother of God given to him by St. Paisius around to each new cell. In early September 1841, after being at Optina for twelve years the Elder fell ill. He reposed after much suffering, with his cell attendant at his side. Whoever the Lord visits with a difficult ordeal, sorrow, the bereavement of a dearly beloved one, such a person involuntarily prays with all his heart, all his understanding, all of his mind. Consequently, there is a wellspring of prayer in everyone, but it is revealed either by gradually going deeper and deeper into yourself, according to the teaching of the fathers or by a sudden Divine drilling into one’s soul. For us who seek salvation, what is most needed in fulfilling the Divine commandments is humility, which attracts to us Divine Grace and illumines all our actions. But without it, no ascetical struggles and labors can bring us much-desired peace. Be brave and firm in spirit in your faith and hope in the mercies of the gracious Lord that in the situations that seem to be opposing us He is working out our salvation. Acknowledge your weakness and your failure to submit to the will of God and to fulfill His commandments. From this acknowledgment you will obtain humility for yourself and you will see the help of God. Kontzevitch, I.M. “The Great Elder Leonid of Optina (Leo in Schema)” in The Orthodox Word (March-April, 1985): 56-70. Kontzevitch, I.M. “Optina Monastery and Its Elders” in The Orthodox Word (July-August, 1984): 156-162. Optina’s Elders: “Instructor of Monks and Conversers with Angels” athttp://www.roca.org/OA/97/97k.htm accessed on Dec. 17, 2013. Sederholm, Fr. Clement. Elder Leonid of Optina (St. Herman of Alaska Brotherhood, 2002). Smolych, I.K., The Era of the Optina Elders on the official site of Optina Monastery athttp://www.optina.ru/041113/, accessed on Dec. 17, 2013 (in Russian). Born Alexander Ivanovich Putilov, brother to Elder Moses, the future Elder Anthony, from his childhood was inclined towards monasticism. He was sick for most of his life. As a youth, he almost drowned, once he cracked his skull and his life was in danger ten times. Later in life, he would develop sores on his legs which were constantly painful and drained frequently; they would open up to the point of exposing the bone even. Desiring to be like his brother, Alexander left to live with the Roslavl forest ascetics and placed himself under obedience to Moses. It was here that he learned the monastic life. When Elder Moses left to establish the Skete at Optina, Elder Anthony went with him. In 1825, at the age of thirty, the elder became the Abbot of the Optina Skete. It is said that there was no one more humble than Elder Anthony. He would not give any orders without the blessing of his older brother. Under his guidance, the skete became a magnet drawing men of spiritual inclination. Life at Optina was difficult for him. He did not have a cell attendant and therefore had to complete many tasks such as the cooking, gardening and baking himself. The flourishing of eldership in the Skete was due to these brother Elders, Moses and Anthony. They planted it there but also nourished it by bringing Elders Leonid and Macarius to live with them and supporting them in every way possible. Elder Macarius would say of Elder Anthony that “both in rank and in spirit [he is] wiser than myself.” Elder Anthony was known to be very tender and full of compassion. With the growth of the Skete came many trials and temptations. Due to the sores on his legs, there were times when he was not even able to leave his cell; he, therefore, committed himself to more reading and prayer until he had the strength for work. The work of eldership in the skete was opposed by Bishop Nicholas of Kaluga that is why Bishop Nicholas appointed Elder Anthony to the Abbacy of the St. Nicholas of Maloyaroslavets monastery in 1835. The monks there lacked fervor and unity, and this was a great trial for Elder Anthony. He was the Abbot here for fourteen years and became so sick that many times he would give orders while lying down. In 1859 he came back to Optina. Elder Moses reposed in 1862, and Elder Anthony remained in seclusion for a year afterward. If anyone mentioned his brother’s repose, he would begin to cry. His increasing infirmities left him bound to his cell where he devoted himself entirely to prayer. 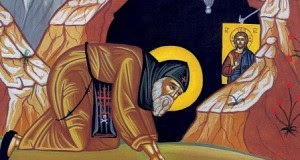 On the last day of his life on earth, he received the blessing of Abbot Isaac and then reposed. Do not be confused because dark thoughts often trouble you, for dark thoughts, like autumn clouds, come one after another and darken everything. But then they pass, and the sky remains clear and pleasant. And so our thoughts wander, they wander around the wide world, but the mind remains planted in its place, and then it is quiet, and the soul becomes joyful. But our mind, from wandering here and there, becomes accustomed to the brief but often repeated Prayer of Jesus, which may God grant you the habit of saying, and then your days will be bright. According to your wish, I am sending you a prayer rope for use in your cell. Pray fervently to the Lord God and your cold heart will be warmed by His sweetest name, for our God is fire. This cry destroys impure dreams and warms the heart for all His commandments. For this reason, the prayerful calling upon His sweetest name must be the breath of our soul, must be more frequent than the beating of our heart. Purify your heart and you will learn everything. Kontzevitch, I.M. “The life of Hegumen Anthony, Founder of the Skete at Optina (+1821)” in Orthodox Life (March-April, 1990):3-7. Smolych, I.K., The Era of the Optina Elders on the official site of Optina Monastery at HTTP://www.optina.ru/041113/, accessed on Dec. 17, 2013 (in Russian). St. Anthony of Optina: Short Life at http://www.optina.ru/starets/antoniy_life_short/, accessed on Dec. 17, 2013 (in Russian). Below you will find the first in a series of posts concerning the Optina Elders, what I have labelled ‘A Holy Heritage’. Our dear friend, Subdeacon Matthew Long, has taken the time to compile mini-bios and sayings of the Optina Elders. He has graciously shared them with me so I can share them with you, my readers. I hope and pray this will be an opportunity for us to learn more about the saints God has revealed even in these modern times. For those wishing to learn more about the holy Optina Elders, you can check out the book series published by St. Herman’s Press. First in the line of Optina Elders is Moses, born Timothy Putilov. He and two brothers became monks and later abbots at different monasteries. On their father’s gravestone was written: “He was the father of three abbots: Moses of Optina, Isaiah of Sarov, and Antony of St. Nicholas Monastery of Little Varoslavetz.” He was always an avid reader which nurtured in him the desire for the monastic life. As a young man, he was influenced by Eldress Dosithea of the Moscow Ivanovsky Convent and under her encouragement he set out for the Novo-Spassky Monastery. Later he went to Sarov Monastery where St. Seraphim had been struggling for thirty-seven years already. Here, young Timothy had many occasions to talk with the experienced Elder. He left Sarov for the Svensk Monastery where he was made a novice and then in 1811 he was tonsured a monk in the Roslavl forests by the eldest of the anchorites there, Hiero-schemamonk Athanasy. He was given the name Moses after St. Moses, the Ethiopian. He would stay in these forests continuing under the tutelage of the disciples of the Moldavian Elder, Paisius Velichkovsky, who grew to greater influence amongst monastics in Russia and even further abroad. In the Roslavl forests, Fr. Moses’ main occupation, apart from his rigorous cell rule, was the reading and copying of many texts of the Church Fathers. He copied many translations from books which had been copied by Elder Paisius Velichkovsky, and he also compiled volumes of anthologies. Interestingly, he always stood when he read and wrote. In 1821, at the invitation of Bishop Philaret of Kaluga, he was invited to create a skete at Optina for those who wanted to devote themselves more completely to prayer, later to be known as the Skete of Saint John the Forerunner and Baptist of the Lord. He arrived there with his younger brother, Fr. Anthony, and three other monks. Five years later, in 1826, he was appointed Abbot of the whole monastery and then shortly after that invited Fr. Leonid – another Paisian disciple whom he had met and lived with earlier in his life – to come and live in the Skete. In 1834, Hieromonk Macarius (Ivanov) accepted an invitation to settle in the Skete with Fr. Leonid. With these two elders began the establishment and growth of eldership. The Optina skete and monastery were revived under the supervision of Elder Moses with the building of the St. Mary of Egypt refectory church, more cells, a library, apiary and various other buildings. More importantly, though, was the spiritual flowering of the monastery the preservation of the ancient wisdom of monasticism, fostered under his guidance. With the rise of eldership persecution also came from those who did not understand it. Despite the persecution, Elder Moses firmly supported Elders Leonid and Makary and did all he could to protect them. Elder Moses himself depended on them in the daily running of the monastery. He would not accept or tonsure anyone without their advice. From them, he constantly sought direction and had Fr. Leonid as his confessor. The crowds of people seeking help from these Elders for their troubled souls grew steadily. In 1862, after reviving the life at the Optina Monastery and establishing Eldership in the Skete life of Optina, Elder Moses reposed. At the time of his repose was read, “For the Son of man shall come in the glory of His Father with His angels; and then He shall reward every man according to his works. Amen, I say unto you, There be some standing here, which shall not taste of death, till they see the Son of man coming in His Kingdom” (Matthew 16:27-28). His body was later found to be incorrupt. We must bear one another’s spiritual infirmities cheerfully, without bitterness. After all, if someone is physically ill, not only are we not offended with him, but we even help him in any way we can. That is how we must treat spiritual illnesses also. Moreover, truly we need only ceaselessly keep watch and be prepared, as if mentally on the lookout, beholding God’s omnipresence with the eye of our intellect and reflecting that He dwells not outside us only, but also within us, in our heart, in our soul as in His temple. It is in this spiritual practice that the fear of God consists. For one who knows with an exactness that God is everywhere present, that He sees all his thoughts and that he tries his heart and reins – such a one will fear not only to do evil but even to think evil. We must thank the Lord for everything, the labor which he imposes on us to teach us patience, which ennobles the soul and is more beneficial for us than comfort. Evidently, this is pleasing to the Lord. Sorrows cannot befall us except through God’s permission – for the sake of our sins. Moreover, these very sorrows protect us from other temptations. Clare, Fr. Theodosius, Glinsk Patericon (Wildwood: St. Xenia Skete, 1984). Holy Trinity Convent (trans.) The Elder Moses of Optina (Boston: Holy Transfiguration Monastery, 1996). Kontzevitch, I.M. “Abbot Moses: the Builder of the Optina Tradition” in The Orthodox Word (May-June, 1985): 125-128. “Life in the Forrest by Abbot Moses of Optina” in The Orthodox Word (May-June, 1985): 129-135. One of the fathers, seeing someone sin, wept bitterly and said: "Today him, tomorrow me".